Everybody in the northern hemisphere seems to be talking autumn – and with good reason: the nights are drawing in, the garden looks shaggy, and it now consists mostly of seedheads interspersed with just a few bright sparks of colour. 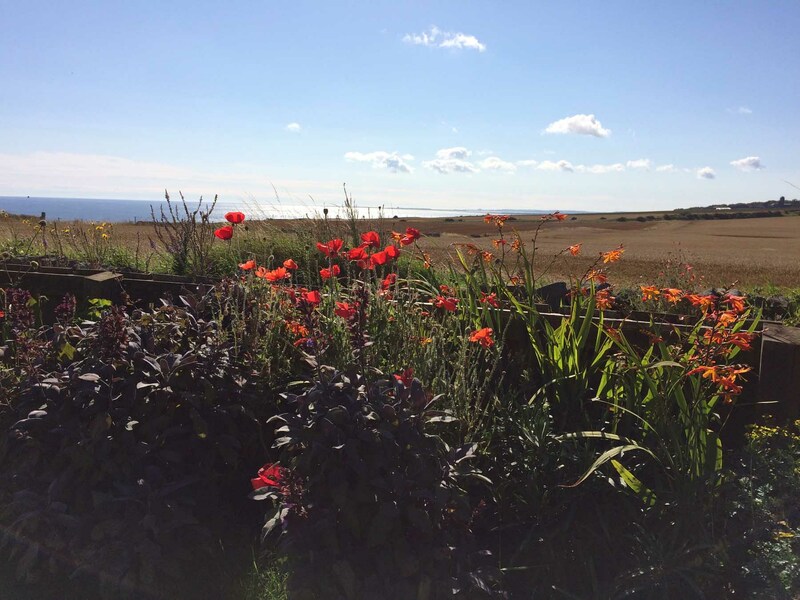 But before we give into autumn gracefully (and yes, it is very tempting – there is so much about autumn that I love), I want to look back on the poppies we have grown at Seaview this summer because they have been – as ever – a delight. When we came here in late 2010, there was no garden so we had to dig all the flowerbeds (you can read about our gardening travails here). 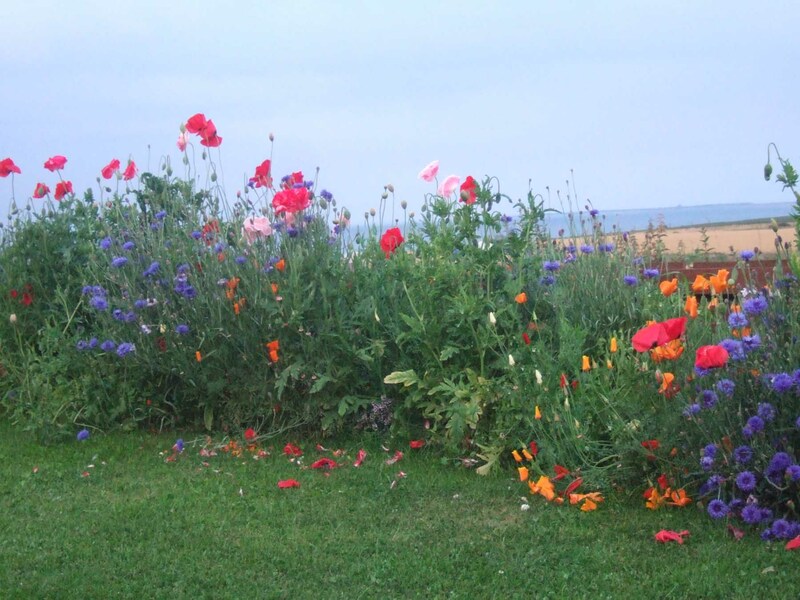 And that first summer, we filled the newly-dug flowerbeds with poppy and cornflower seeds. An explosive riot of colour! 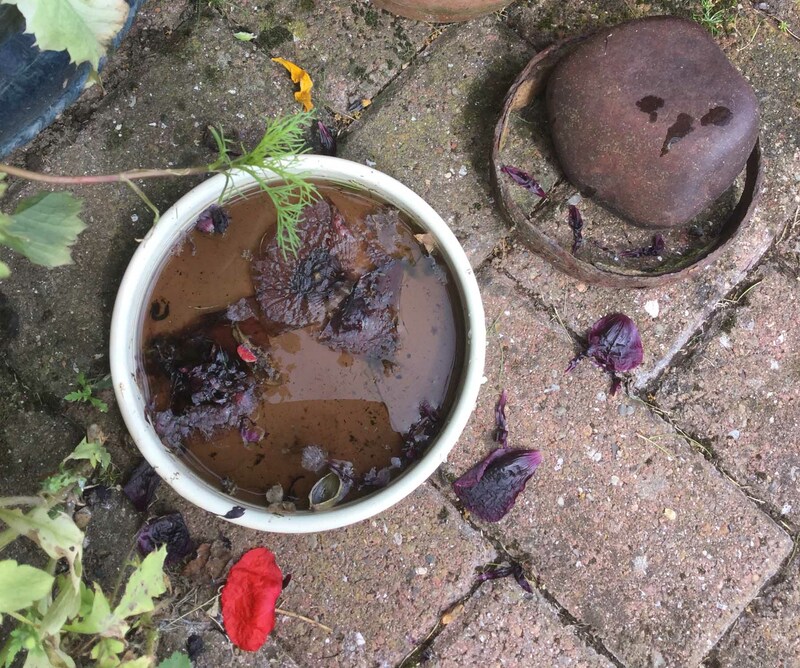 Complemented with heady nights … And strange days of misty beauty … So those are the parent plants of the seedlings we have had all over our garden this summer. Seedlings spilling out into the lane … Some brave little souls here … In the compost heap … Growing beside the garden benches … And through them … They’ve tried to take over the vegetable patch … There were so many poppy seedlings in the veg patch earlier this year that I dug them up and moved them to a communal part of our Seaview holdings. There they have really blossomed. 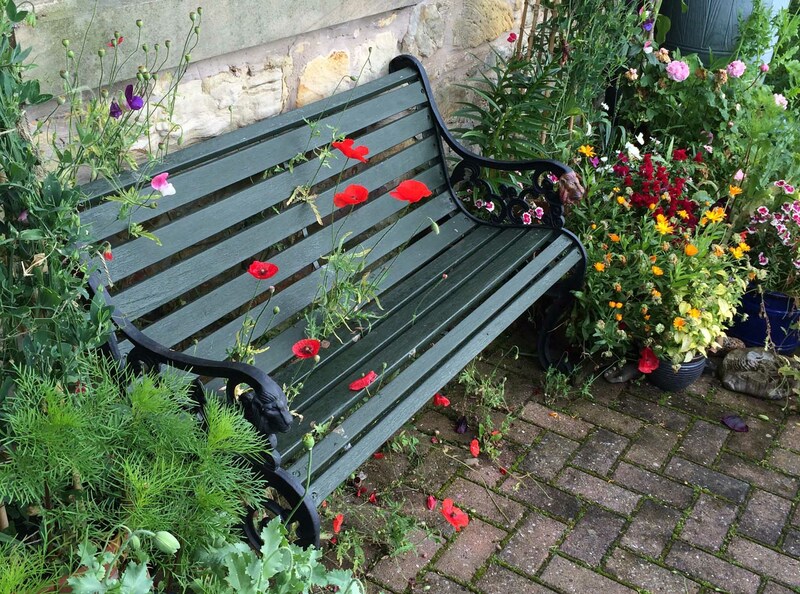 Each year, we add a couple of new packets of poppies. Last year we sowed Ladybird poppy seeds, and they have seeded new generations. 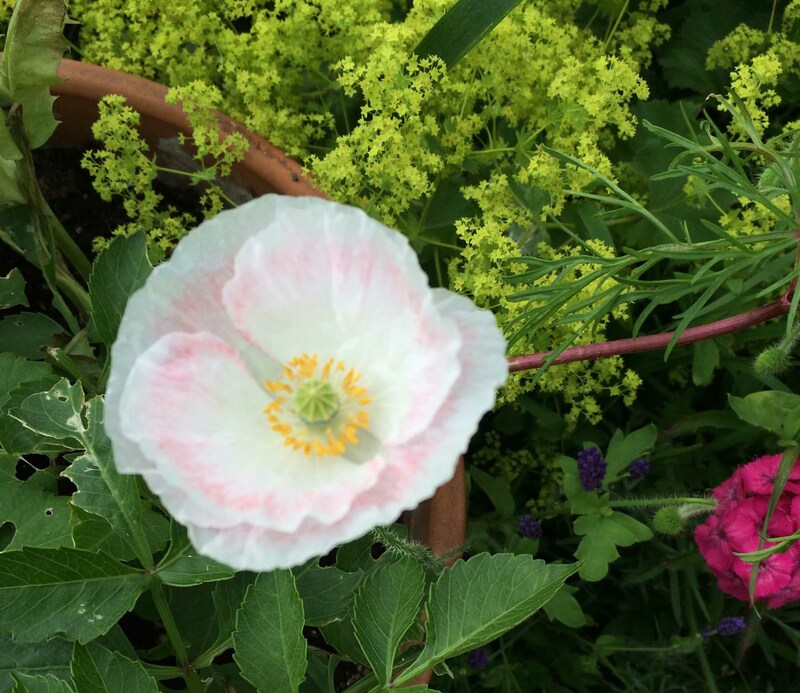 This year we added Papaver rhoeas “Mother of Pearl – not a lot of them grew, but those that did were a delight (for us as well as the hover flies). There’s this gorgeous red version too. 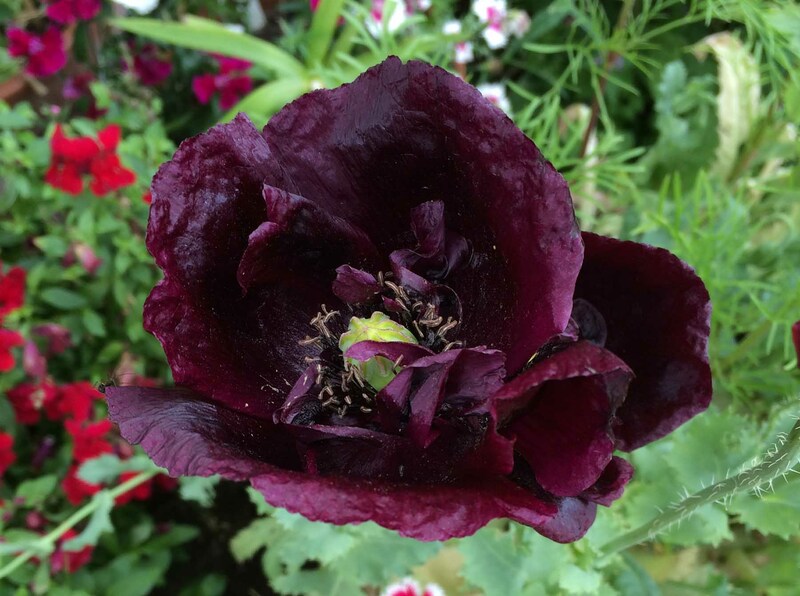 However, it was definitely Papaver somniferum “Black Single” that stole the show this year. What pleased me particularly was the spectrum of colours these seeds produced. Not just that heady purple-black, but softer dark pinks too. Some frilled white centres, and some frilled black. And when their petals fell into the cat water, it turned a deep dark brown – perhaps worth doing some dye tests with this next year … I love the mix of colours, of varieties as the self-seeding takes over … Rosy pinks here … Candyfloss whites, edged with delicate pink … You never know how each poppy bud is going to develop … will it be fancy frilled … Or just plain very frilly indeed … A glorious mix of colours here! 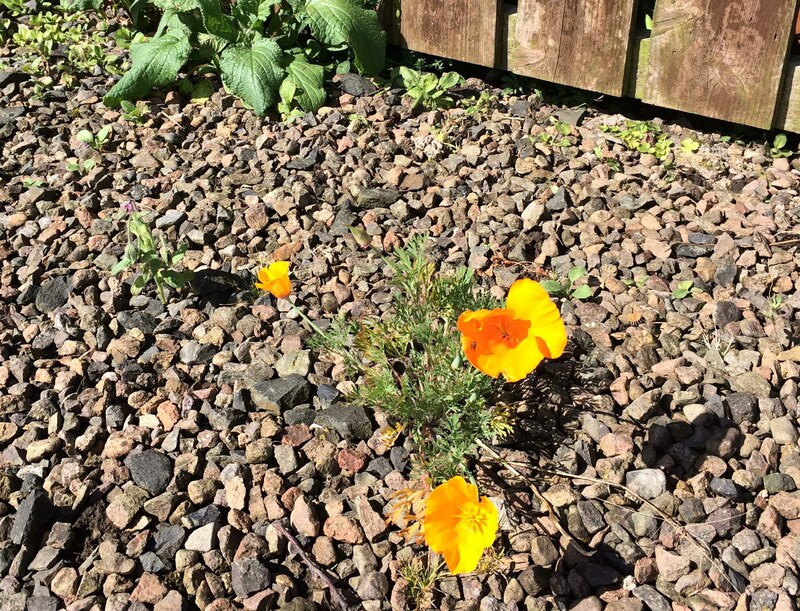 And just as we come to the end of the season, the poppies’ demise hastened by hot feisty winds … A last few Californian poppies start to bloom. Time now to draw in, to make lists, and study seed catalogues: to make plans for next year! 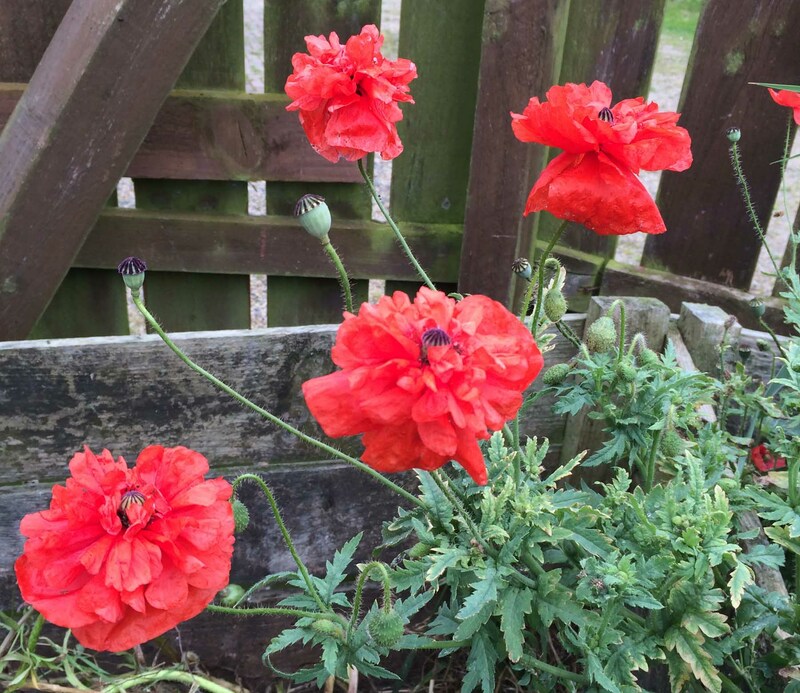 What lovely poppies! They’re very resilient, I had no idea. My favourite is also the dark ones, what gorgeous deep red (and bright pink)! Aren’t they amazing colours, Leonor?! Yes, they are very tough, and do really well here when a lot of other plants wouldn’t. 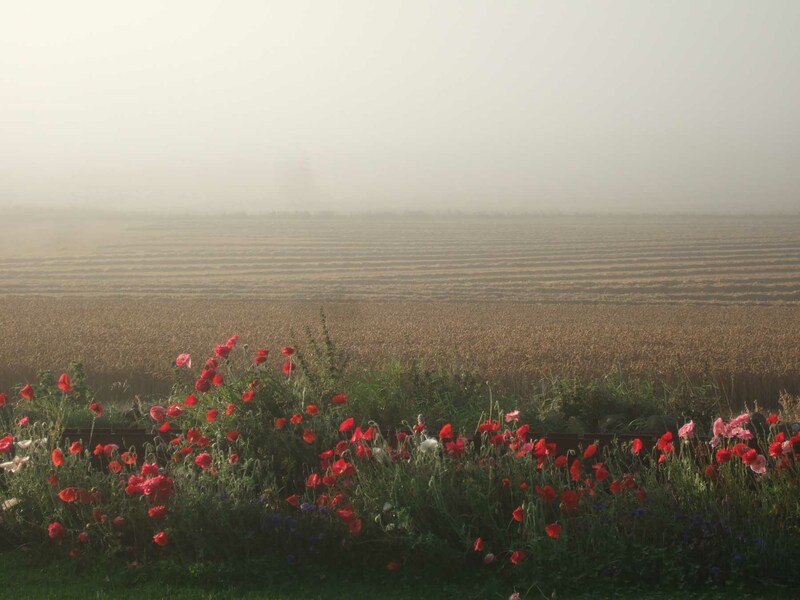 Your poppies are stunningly beautiful. This is my favorite post ever!! I adore poppies. At one point my entire front verge was covered in them. You can never have too many. But watch those Californians. 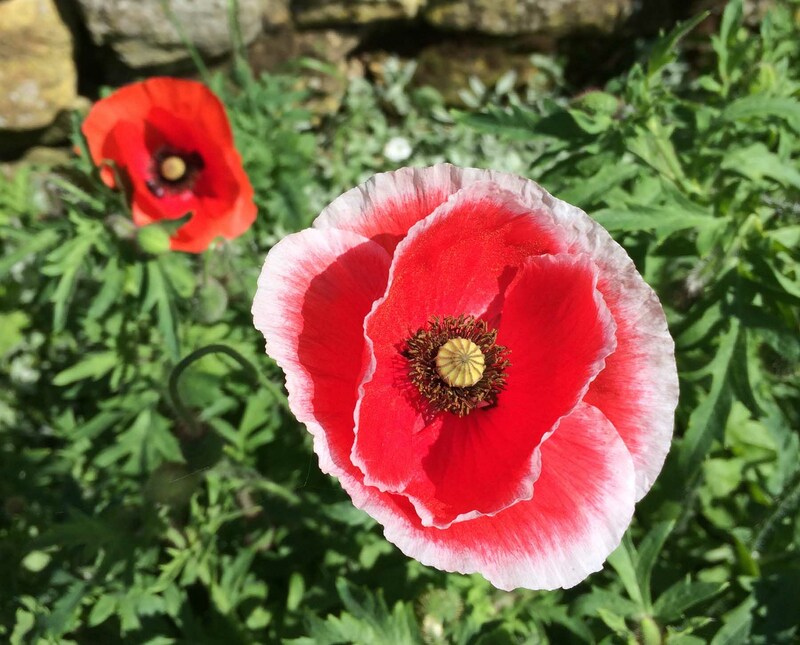 They are not true poppies and can be pretty invasive. 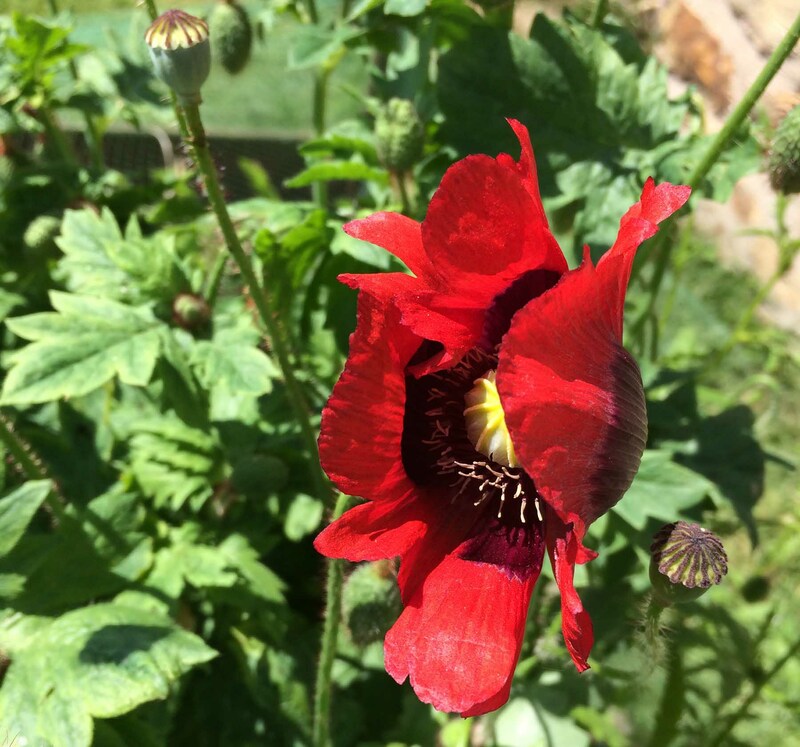 Ah, another poppy passionata! 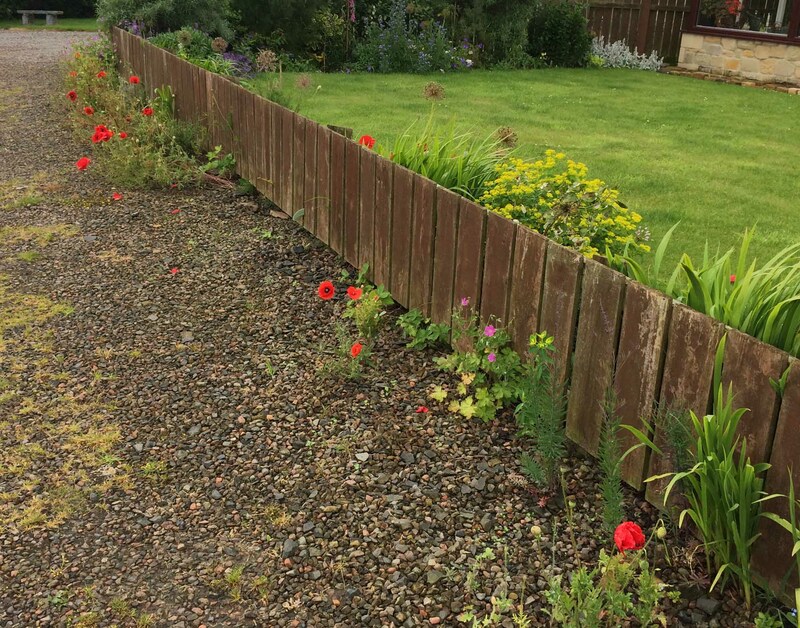 How nice 🙂 Your front verge sounds amazing, and I completely agree – you can never have too many poppies. I’d like even more Californians – I understand your warning, and have seen them growing abundantly in the wild in California – but they are a bit timid about the UK climate, so don’t really grown freely here. What a bounty! I love poppies. I have a giant pink one I hope will show itself this year…i harvested the dried seeds from an over hanging seed head whilst on a summer evening walk in the hood. 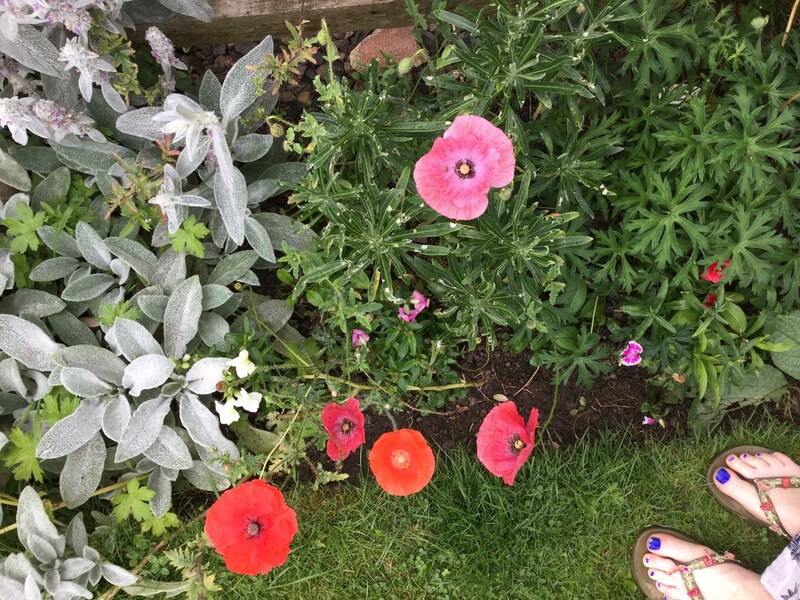 Thank you, Rebecca – there are indeed lots and lots of poppies in our garden, and would have been even more had the snails not been so greedy. 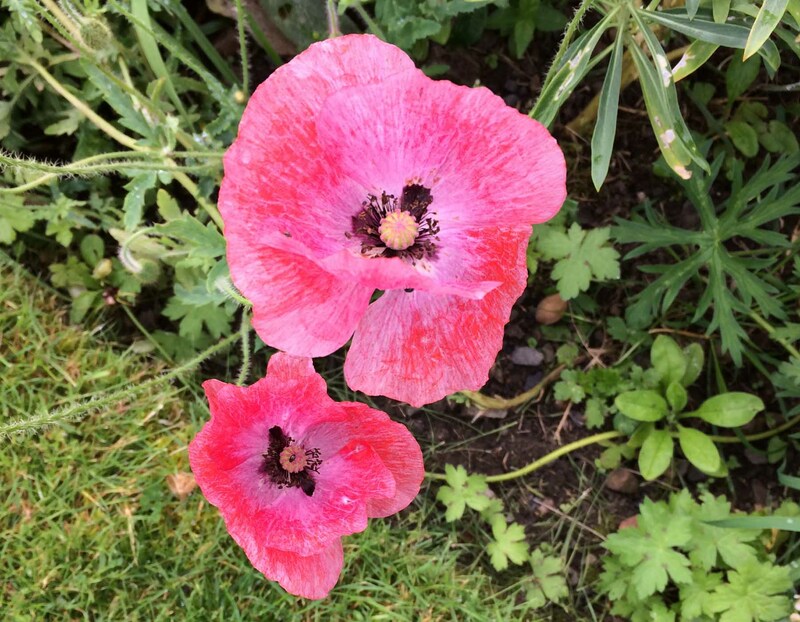 I do hope your giant pink poppy flowers beautifully! Fabulous. 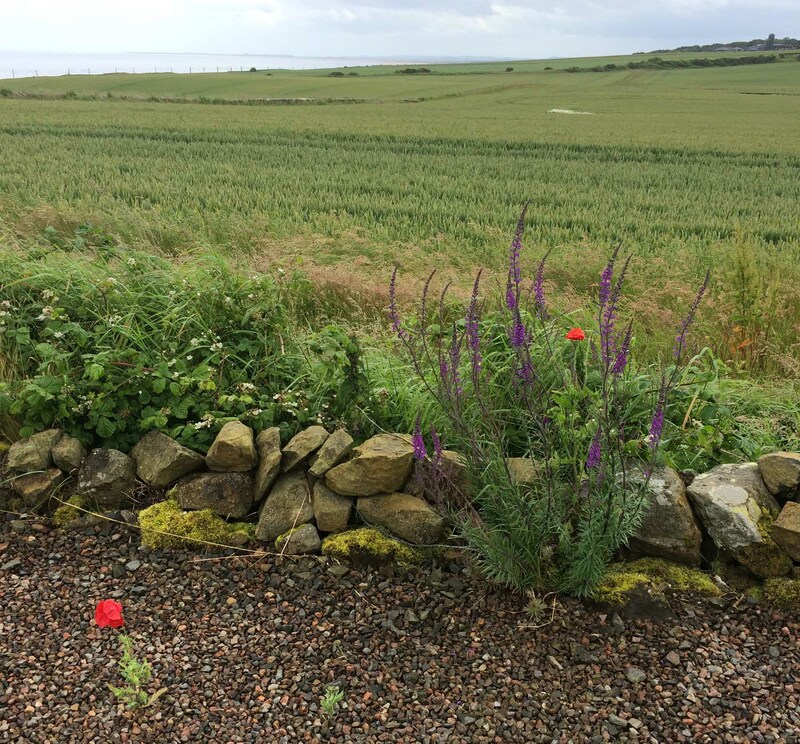 I would love a garden with a swathe of poppies on the border and fabulous views beyond. Thank you. 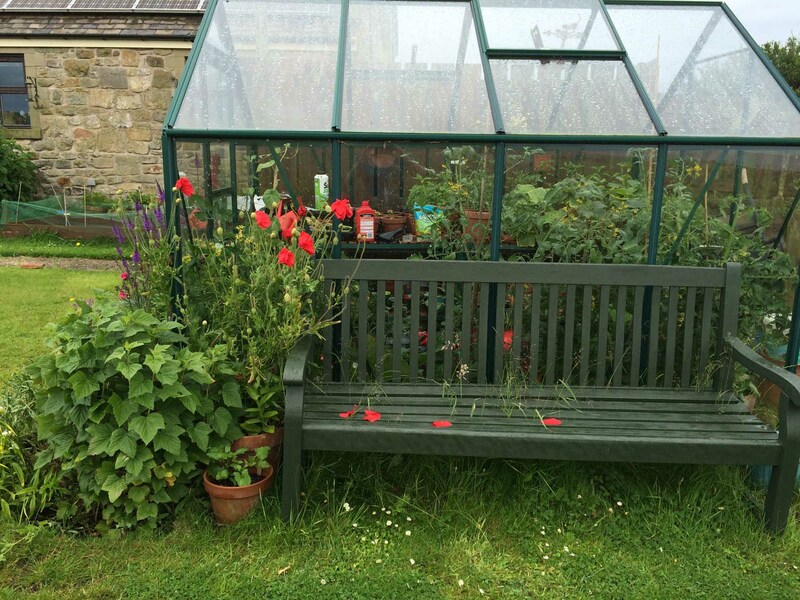 Stupidly, the grass is always greener elsewhere, Anne – I do indeed love our poppies, but I would love to grown roses and clematis! What beautiful colours and I love how freely they have spread. 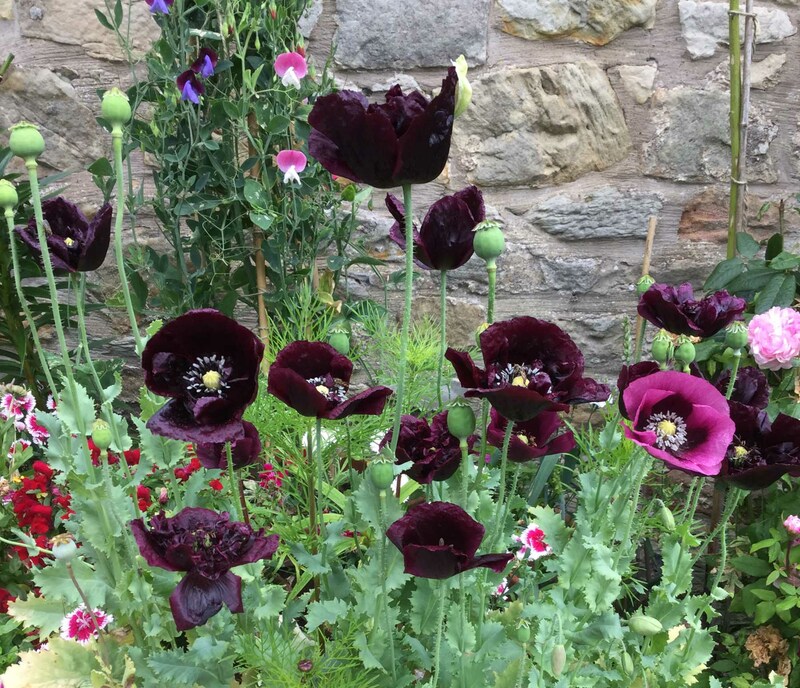 Last year a poppy similar to your deep purple/black one appeared in our garden and has now spread around everywhere, it’s a beauty. Glad you like all the colours, Jane. I too love the way plants seed themselves – it really suits my lazy-gardening mentality. 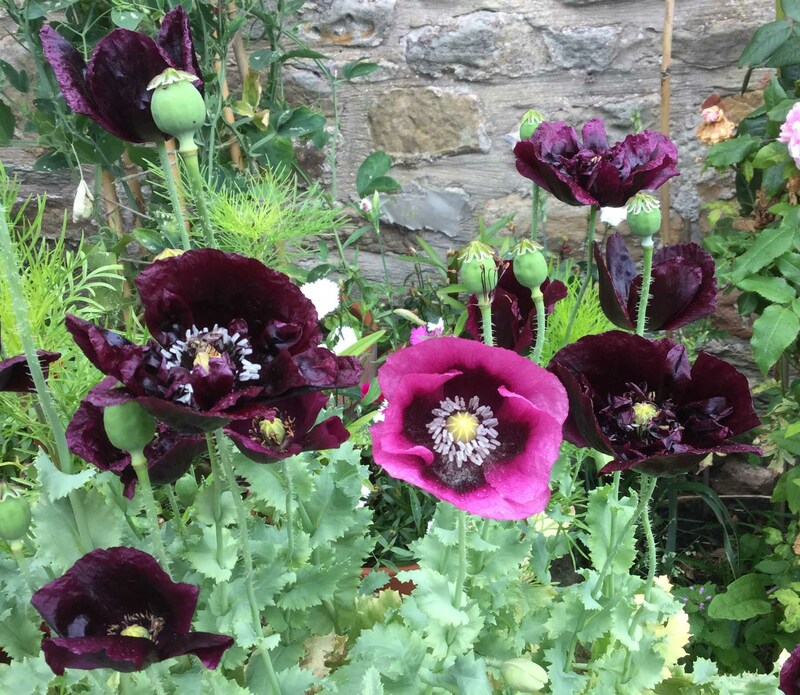 And I am very much encouraged to hear that you’ve had deep black/purple poppies seed themselves around – hope mine do that next year! 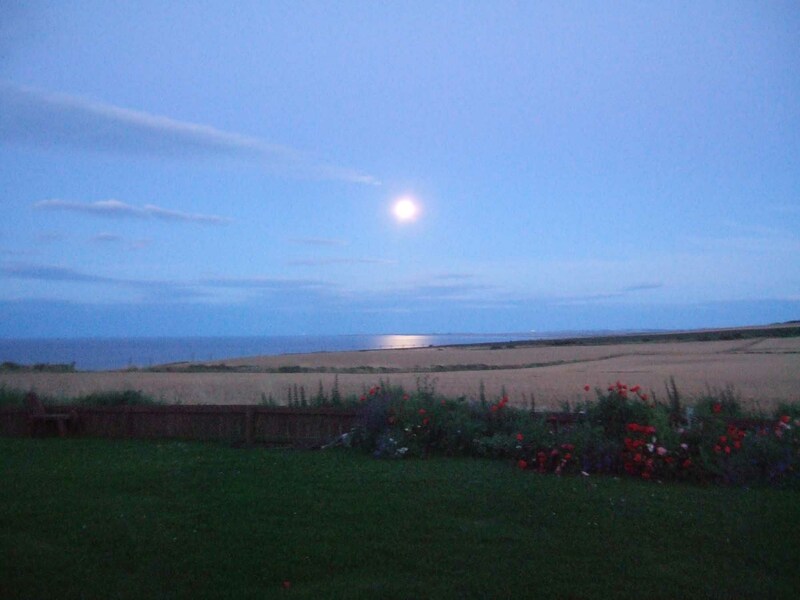 Love your garden and your view!! So inspiring! 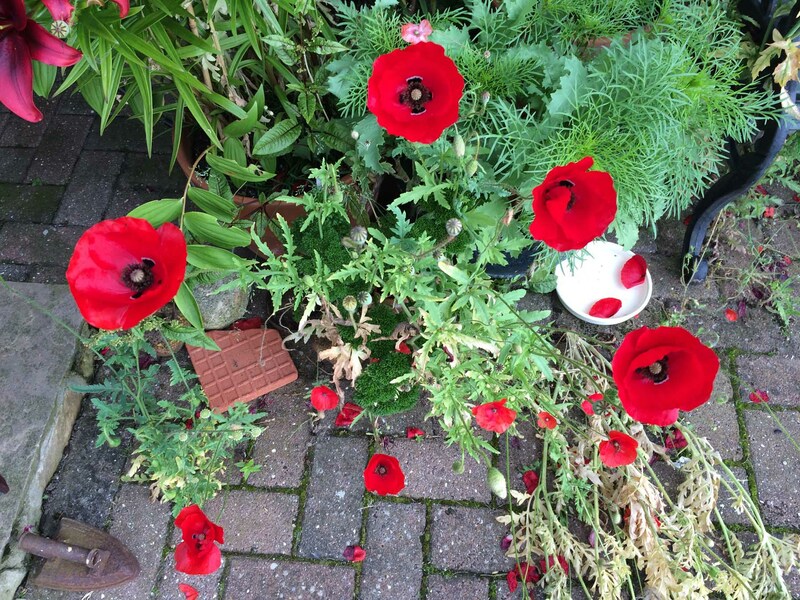 Poppies always remind me of my childhood – my Granny used to have so many of them in the garden! I’m with you on the almost black ones, Katherine! Also love the palest pink and white ones. Lovely to find something that likes your habitat and then just keep going with it. It makes me realise I don’t have any this year though there are usually quite a few. 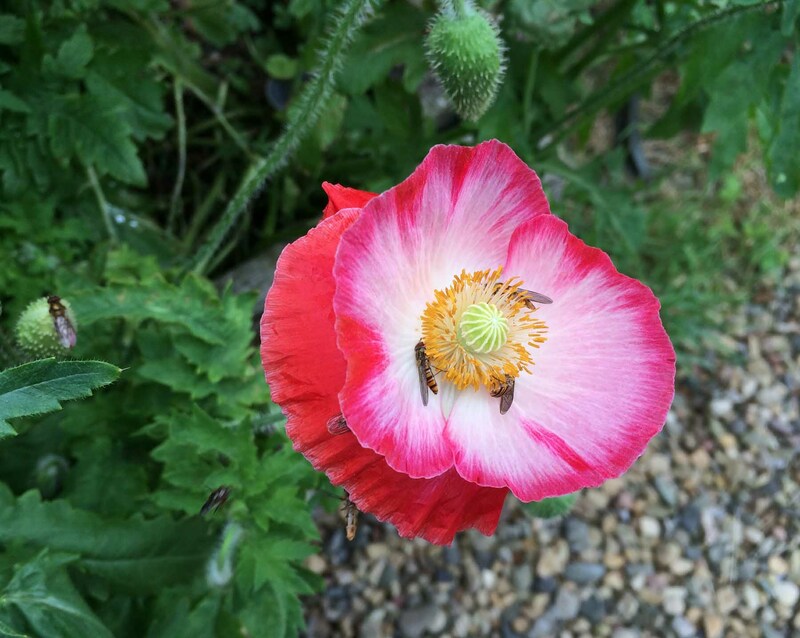 Well, there may be some of our abundant poppy seeds coming your way later this year, Polly! 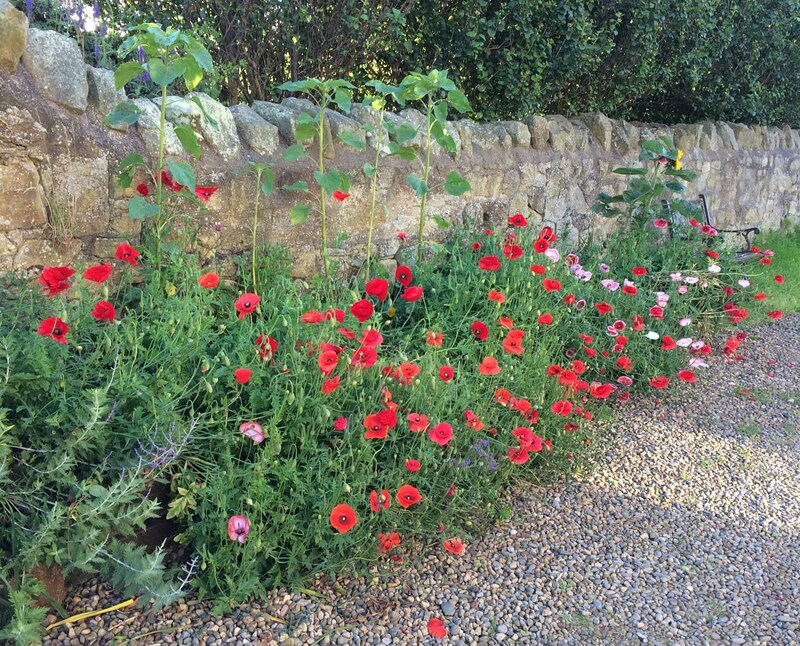 I have to confess I – and J – have probably never given a thought to whether poppies might work here. They’re great colonizers of bare ground (viz battlefields of WW1), and their strategy for self-propogation is one of those that succeed here in Uist. Hmmm. More for the seed order! Thanks Katherine for your visual feast: I particularly love those early misty scenes from the early days! 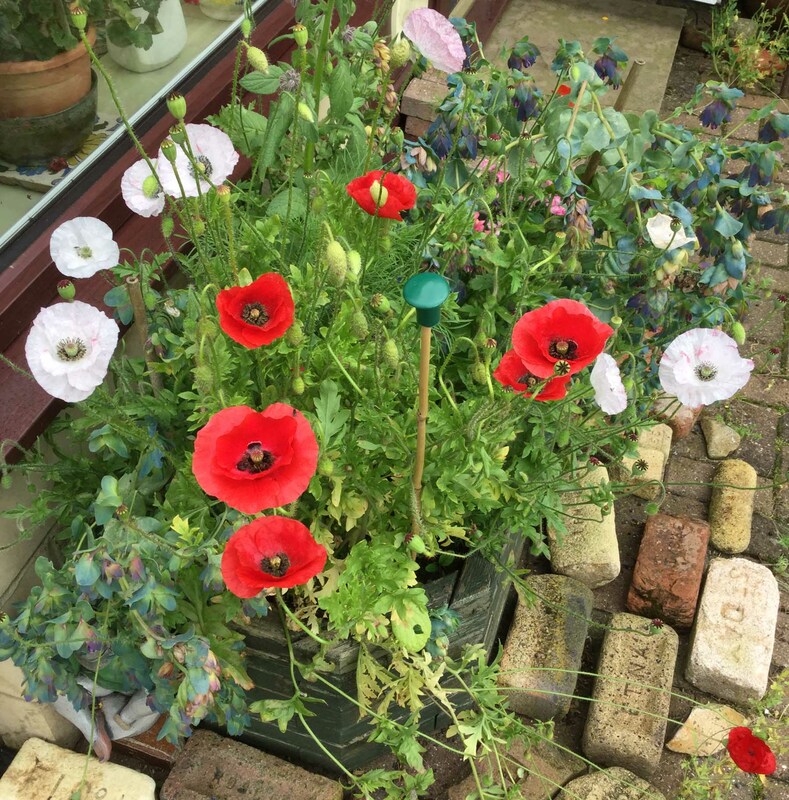 Good luck with the poppies, Denise – can’t wait to see their bold brave colours flowering in odd corners of your garden! [D – 3 months later] Oooh! look what’s just arrived on our doormat! 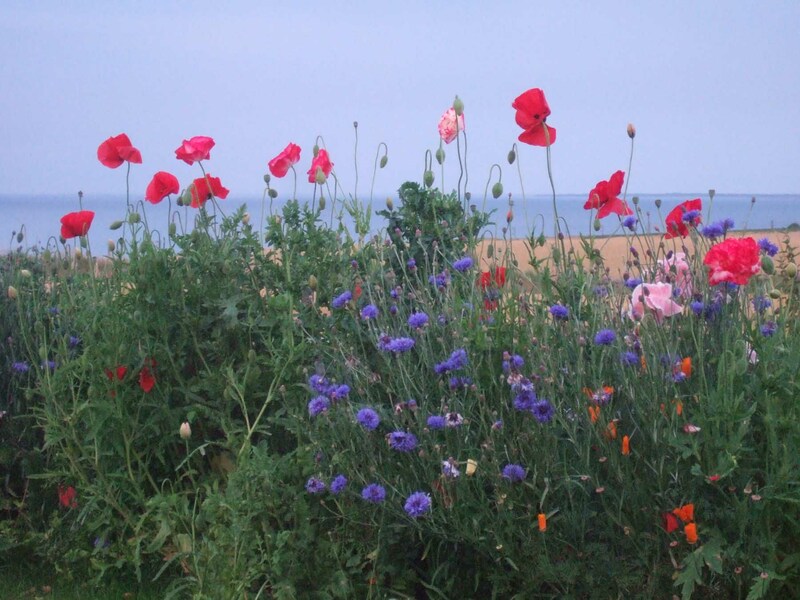 Northumbrian popply seeds, and a most unusually themed seed packet! Thanks Katherine! 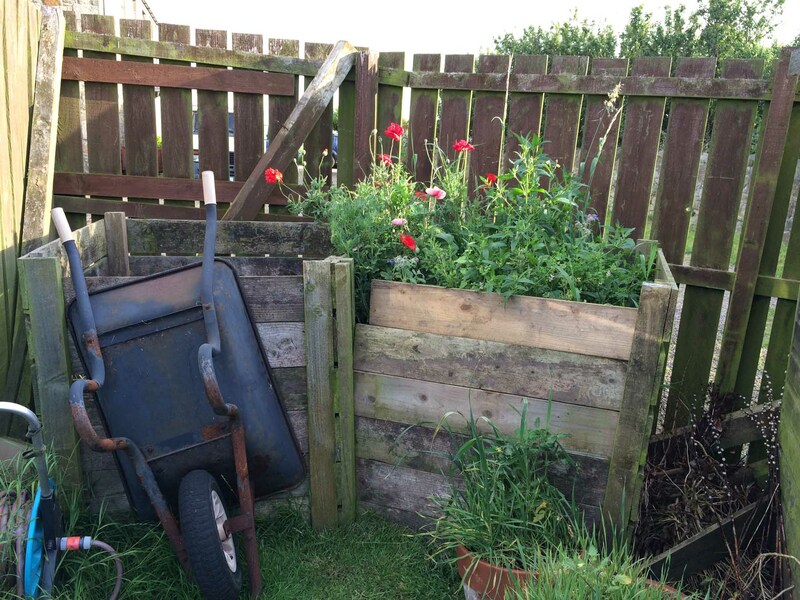 Hope some of the poppy seeds flourish in the Big Garden!